Graded GOOD 30 by SGC. 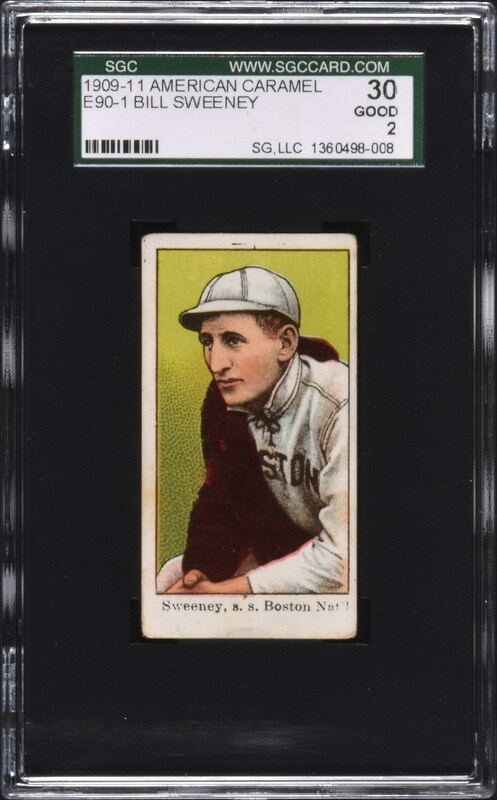 Presented is an extremely attractive example of Bill Sweeney, one of the key rarities from the E90-1 American Caramel series. Bright and clean, both front and back, with bold colors, crisp image, even wear to the corners, and centering slightly to the right. A few light surface wrinkles are visible under close inspection. The reverse is also perfectly clean and centered to the top. This is a very strong example of this legendary key rarity from the most popular caramel-card set of the era. This card (and E90-1s in general) are rarely found in high grade. Today collectors recognize many cards as being of various degrees of rarity in the E90-1 set. Sweeney is universally recognized as among the rarest. 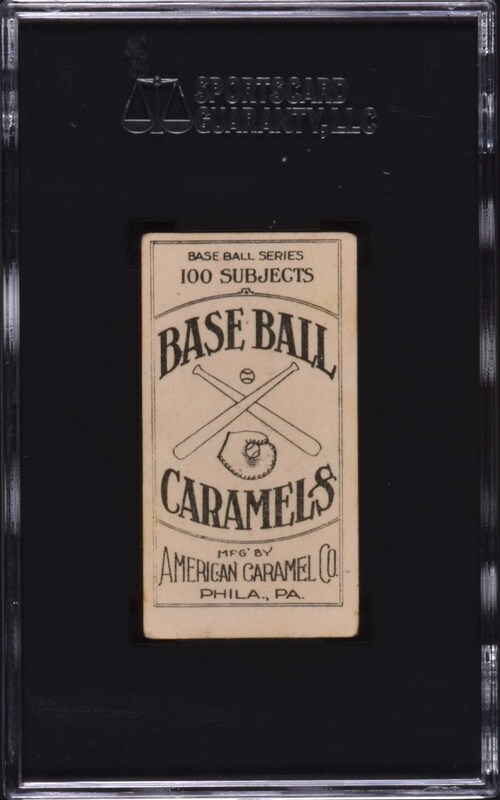 This outstanding example would be at home in a collection of important caramel-card rarities or any mid-grade complete set of the classic E90-1 American Caramel issue. Reserve $200. Estimate (open).